"Agent Ribbit sends you and your little detectives everything you need for exciting science investigations, every month! No combing through science books, no testing eight different volcano recipes to see which one actually works, no need to order 100 pipet droppers because you need just one. In each box, you'll find at least four science and creative projects and all of your supplies, all ready to go!" 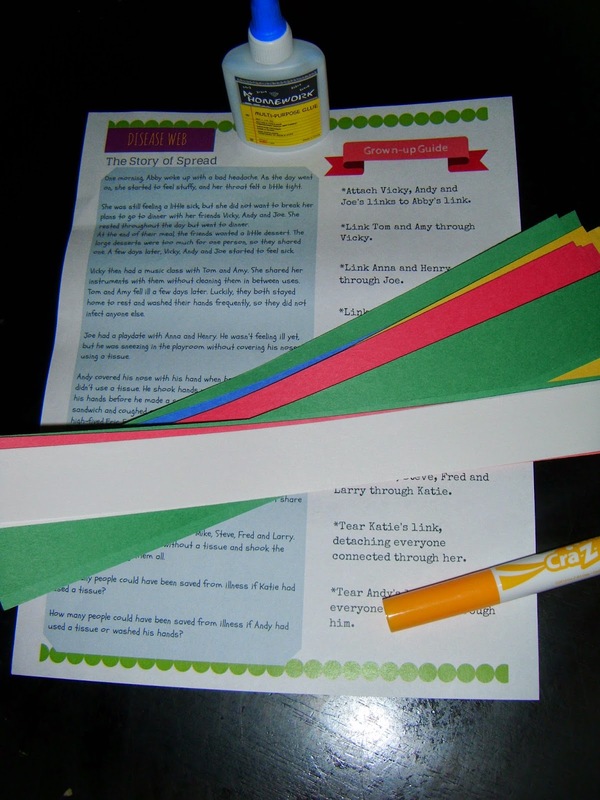 As homeschoolers, we are always searching for fun ways to learn things. 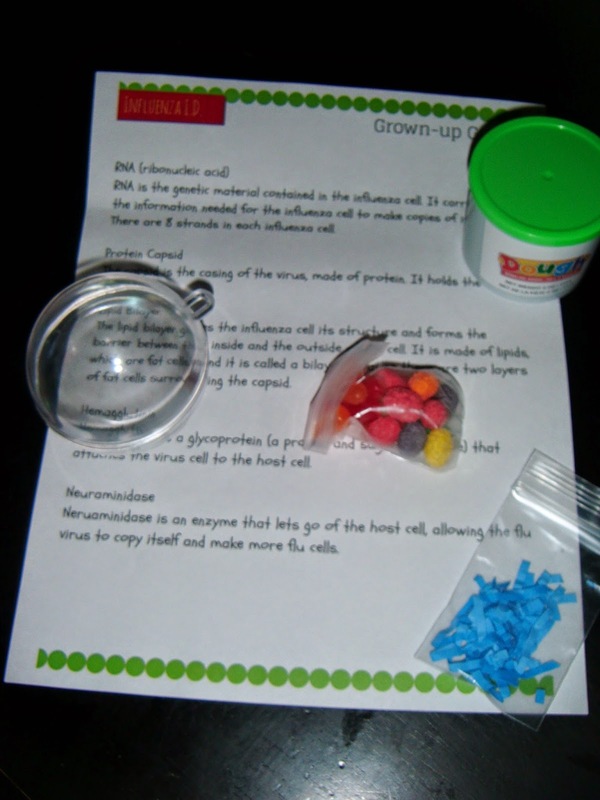 Science is one of our kiddos' favorite lessons since there are so many hands-on ways to teach these important topics. The benefit of Agent Ribbit is that all of the materials you need are gathered for you and a lesson is included for each experiment. I love that there is a follow-up lab report for each experiment. This insures the concept is understood adequately. These experiments encourage the scientific method which is fantastic! 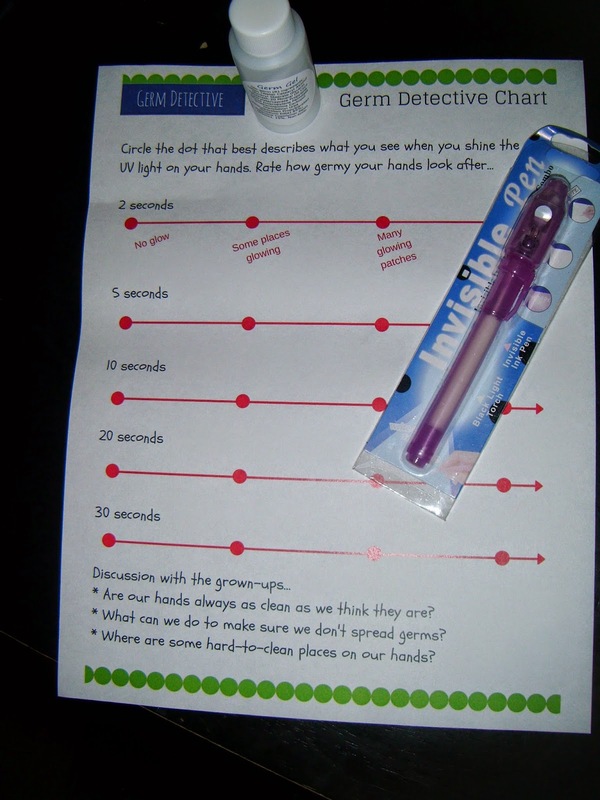 Our kit helped to get the kiddos even more engaged in the entire process and encourages exploration. 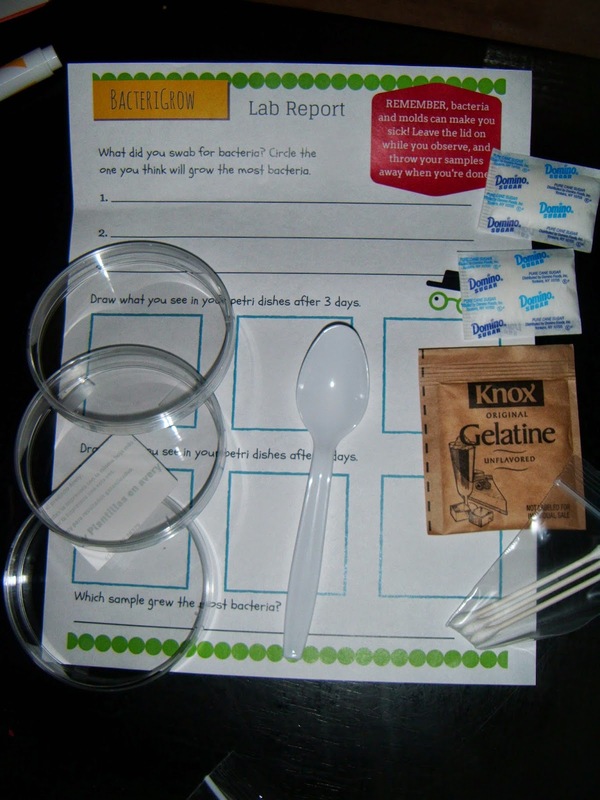 This cool kit is designed for kids ages 4-9 and every experiment was a huge hit with both of our kiddos, ages 5 and 8. We followed the story of a sick kid who, by not taking care, spread the illness to lots of her friends, who spread the illness to lots of their friends and so on. This was a great way to visually show the kids how fast an illness can spread. We got to build a model of an influenza cell. So much fun! Agent Ribbit is a really great value and full of wonderful, hands-on experiments that keep the kiddos engaged, learning and having fun! ABCD Diaries gives Agent Ribbit an A+! Subscriptions start at just $24.99 with free shipping. Sign up today at Agent Ribbit!